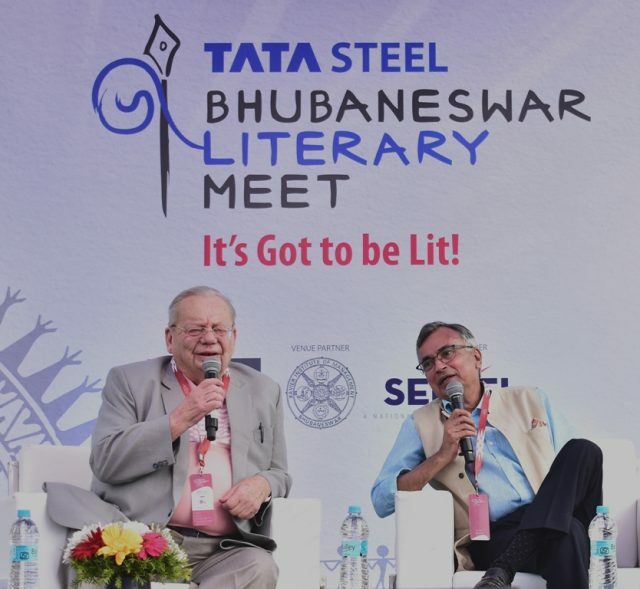 Bhubaneswar: The second day of the Tata Steel Bhubaneswar Literary Meet (TSBLM) witnessed a large turnout of students who came in the hundreds to listen to and interact with iconic author Mr Ruskin Bond. Arguably the country’s most recognised contemporary author, Mr Bond enthralled the audience with anecdotes and snippets from his illustrious career. Mr Bond also spoke about the importance of reading and how it is critical in sharpening one’s writing skills. Mr Bond’s session was preceded by an engaging exchange promoting Odia literature. Moderated by author and academician Mr Gourahari Das, the session saw writers and proponents of Odia, Mr SN Sahu, Mr Jatindra Nayak, Mr Sangram Jena and Sahitya Akademi awardee Mr Dash Benhur trace the journey of Mahtma Gandhi through the state of Odisha. Celebrated thespian and actor Jayant Kripalani joined spoken word poet Hussain Haidry to talk about the past and future of cinema and entertainment. “The future of literature lies on the silver screen. With the acceptance of the digital medium to consume entertainment and the success of web series shows that today’s audience consume literature through the screen,” said Mr Kripalani. 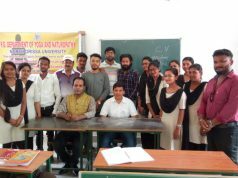 Entrepreneur and successful author Vineet Bajpai captivated the audience as he described his journey to become an author. Budding authors and students alike were eager to understand from Mr Bajpai how one can strike a balance between one’s vocation and interest. The day concluded with a poetry session under the stars. Mr Kripalani and Mr Haidry were joined by poet-authors Ms Nabina Das and Ms Sucheta Mishra to recite their works to a spellbound audience. The fourth edition of the Tata Steel Bhubaneswar Literary Meet concludes tomorrow with several engaging debates and performances in store. 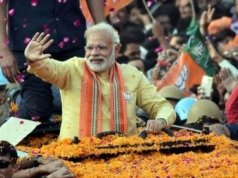 These include sessions with journalist Charles Assisi, ornithologist and conservationist Bikram Grewal, celebrated author Aatish Taseer and acclaimed singer Rekha Bhardwaj.